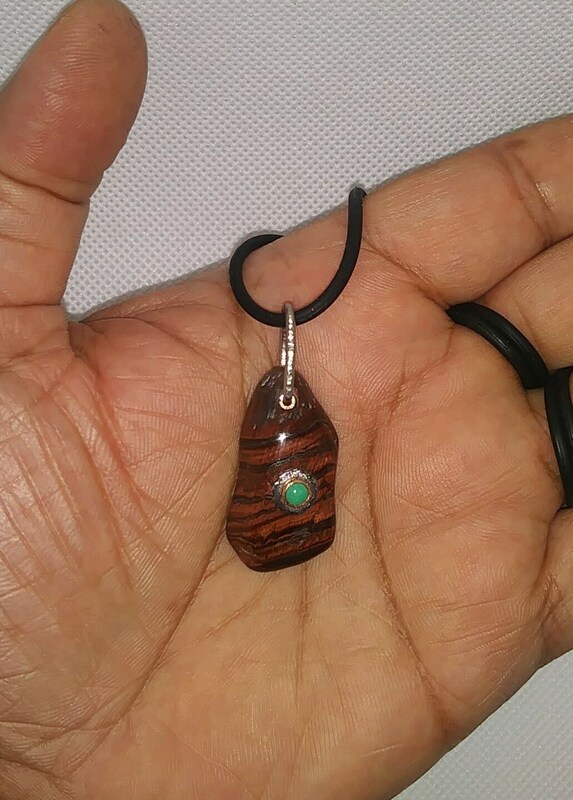 Red Tiger Eye and Robin's Egg Turquoise. 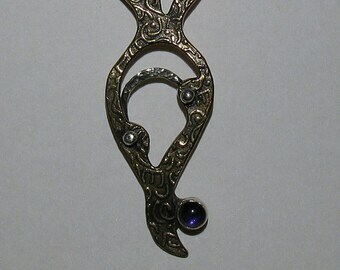 Love the freeform shape, which is why I chose it. 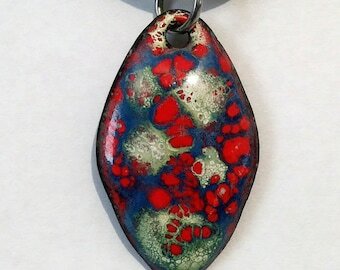 This is a tumbled piece drilled and fitted with a copper tube and a stainless steel bail. The hand cut splash is also stainless steel and is attached by a copper tube that goes through the stone and is flared on the other side with a stainless steel washer. 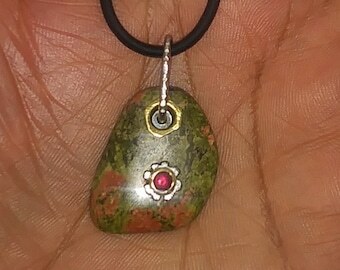 ~ Red-Tigers-Eye is a very stimulating stone that will give you inspiration and motivation in all aspects of your life. 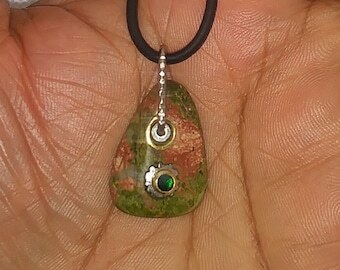 It’s a highly calming stone that will keep you relaxed and centered even if you lead a very busy or chaotic life. When you work with the energies of this stone, you will have peace and harmony wherever you are, whoever you’re with, and whatever you’re doing. ~ Turquoise is a stone of well-being. It contains protective properties that help ward off negative energy with the purity of natural elements such as water and air.